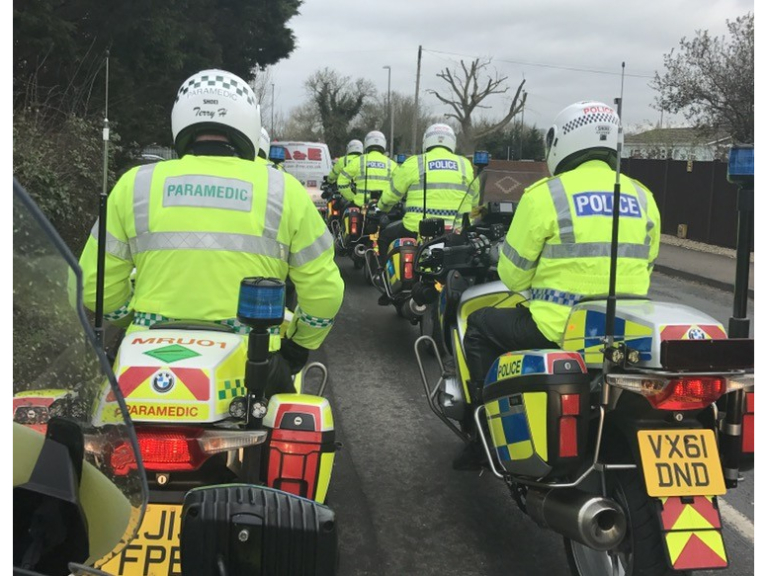 Ahead of the forthcoming Bank Holiday, the South Western Ambulance Service (SWASFT) dedicated Motorcycle Response Unit has teamed up with police forces across the region in a bid to deal with road traffic collisions more efficiently. This is to triage incidents effectively and open roads more quickly. The specialist unit, a team of four paramedics all with advanced motorcycle response training, base themselves throughout the region at strategic points on the major roads and motorways and can deploy at a moment’s notice, particularly at peak and busy times. Since the start of the summer getaway SWASFT’s motorcycle paramedics have been working directly with the police with the aim of assessing incidents more quickly. This in turn benefits public and other services and agencies, resulting in quick assessment for those needing medial help and potentially less delays and congestion for the travelling public following collisions. Scott King, Motorcycle Response Officer, said: “For the first time we are working directly with the Roads Policing Units. Being on a bike, we can often get to the scene faster than a traditional ambulance, enabling us to assess the severity of the incident more quickly. “When we triage the scene it could result in the road being reopened immediately if the incident is not critical. We will be in a position to discharge people at the roadside or treat patients, who are not seriously injured, in a nearby safe place allowing the police or Highways to reopen the road. This will mean other road users won’t experience the frustration of a lengthy road closure where it can be avoided. Each motorcycle is like a mini ambulance and is kitted out with the latest technology and medicine needed to help at a critical incident. The motorcycle paramedics also have direct radio access to the police and can liaise with them instantly to triage the scene of an incident even before a traditional ambulance has arrived.